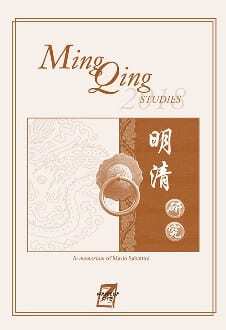 We are glad to inform you that Ming Qing Studies 2018 has been issued in November by “Write Up Site”: http://www.writeupsite.com/ming- qing-studies-2018.html. MING QING STUDIES is an annual publication focused on late imperial China and the broader geo-cultural area of East Asia during the premodern and modern period. Its scope is to provide a forum for scholars from a variety of fields seeking to bridge the gap between ‘oriental’ and western knowledge. Articles may concern any discipline, including sociology, literature, psychology, anthropology, history, geography, linguistics, semiotics, political science, and philosophy. Contributions by young and post-graduated scholars are particularly welcome. Provided that the process of double-blind peer-review proceeds with no delay and the scrutiny of our experts confirms the scientificity, scholarly soundness and academic value of the author’s work, it is one of MING QING STUDIES’ commitments to publish the submitted manuscript within one year after its formal acceptance. This would ensure a timely circulation of the author’s research outcomes without imposing hard limits on word counts or compromising the quality of peer-review, which, for publications in the same field, is usually much longer. The average article length is 10.000-15.000 words, but long articles and notes on focused topics are also taken into consideration. Please find more information on Ming Qing Studies’ past issues and on the CALL FOR PAPERS at: https://sites.google.com/site/mqsweb/home. Subscription or purchasing: Please contact amministrazione@writeupsite.com to purchase digital or hard copies of the volume. CAROLINE BODOLEC, Technology and Patronage of Construction Projects in Late Ming China: The Case of the Itinerant Monk-Architect Miaofeng Fudeng (1540-1613). ANNA MARIA CAVALLETTI, The First Chinese Travelogues in Europe: The Responses of Zhang Deyi and Wang Tao to Western Social Life. CHEN DANDAN 陈丹丹, Rethinking “Shame”: Literati Consciousness in the Early Qing. CHENG YU-YIN 程玉瑛, Christian Literati of the Lower Echelon in Late Ming China: The Case of Xiong Shiqi. LAURENT CHIRCOP-REYES, Merchants, Brigands and Escorts: an Anthropological Approach to the Biaoju 镖局 Phenomenon in Northern China. DING HAN 丁涵, Literature and Identity: The Motif of “Lament for the South” during the Ming-Qing Transition. HSIAO LI-LING 蕭麗玲, Picturing Guqin Music: Min Qiji’s and Other’s Illustrations of “Yingying Listens to Qin” for Xixiang Ji. AMY MATTHEWSON, Cartooning Anxieties of Empire: The First Sino-Japanese War and Imperial Rivalries in Punch. MEI CHUN 梅春, From a Bee-Eyed Villain to a Dim-Witted Buffoon: Wei Zhongxian and Literary Discourses on Evil in the Late Ming and Early Qing. I-Hsien Wu, Eroticism and Other Literary Conventions in Chinese Literature: Intertextuality in The Story of the Stone, Amherst: Cambria Press, 2017, by Paolo Santangelo. Zheng Xiaoyou, Nian Gengyao zhi Si 年羹堯之死 (The Death of Nian Gengyao), Taiyuan: Shanxi renmin chubanshe, 2018, by Lin Hang.